A “mechanic’s lien” is a misnomer: it has nothing to do with mechanics or cars. A mechanic’s lien is security for payment of labor or materials supplied to a private construction project. G.L. c. 254 governs Massachusetts mechanic’s liens. From the initiation of a mechanic’s lien, it encumbers the property where the construction occurred. The lien can be asserted on residential and commercial construction projects, but not construction projects on public land. The ultimate result of a mechanic’s lien is a court order to sell the property to satisfy the unpaid debt, although most liens do not go that far. Typically, a valid mechanic’s lien will attract the attention of the owner and/or the general contractor of the project, who will work to get the lien removed from the property. Who can file a mechanic’s lien? Almost anyone involved in the construction project: the general contractor, subcontractors, lower tier subcontractors, suppliers and laborers. Changes in the law expanded those able to file a lien to include architects, engineers, construction mangers and those supplying rental equipment, appliances or tools for the project. A party asserting a mechanic’s lien is required to have a written contract for their work on the project. 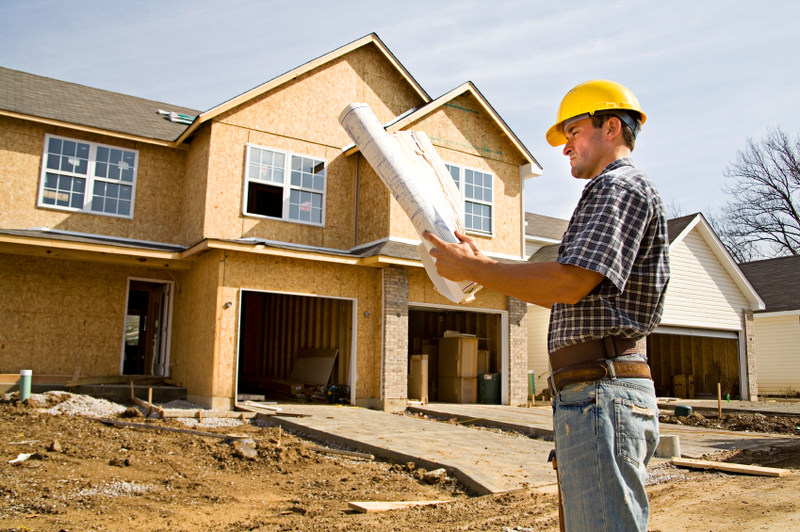 A mechanic’s lien solely for labor provided on a construction project is commonly called a “laborer’s lien”. Unlike other mechanic’s liens described here, it does not require a written contract. A laborer’s lien is limited to the value of up to thirty (30) days work performed within the last ninety (90) days. The process for asserting a laborer’s lien is different from a contractor’s or supplier’s mechanic’s lien described above. The procedure for a laborer’s lien is identified in G.L., 254, §1. How is it filed? The mechanic’s lien process varies from state to state, so it is important to know how to file a mechanic’s lien in the state where the project is located. In Massachusetts, a mechanic’s lien is initiated by a series of recordings with the Registry of Deeds, followed by filing a lawsuit in court. There are strict filing and timing requirements that must be satisfied or the lien will be unenforceable. A mechanic’s lien is initiated by recording a Notice of Contract with the Registry of Deeds where the projects is located. The Notice of Contract contains specific information about the project (the address, owner and parties to the written contract at issue) and the contract amount (the original contract amount, changes, payments and the balance due). It can be recorded as soon as the written contract is executed and as late as ninety (90) days from the last date work was performed on the project. Architects and other design professionals are required to record the Notice of Contract within ninety (90) days from the last date they provided services on the project, or the last date someone they contracted with provided services. Contractors and suppliers are not limited to their own last date of work, but the last date that any contractor performed services or any supplier provided materials to the project. The deadline for recording the Notice of Contract is accelerated if a Notice of Substantial Completion or Notice of Termination is recorded against the project, but that is uncommon. Once the Notice of Contract is recorded, notice must be given to the owner of the property. The value of a mechanic’s lien is limited to the amount due or to become due under the contract between the owner and the general contractor (for subcontractors and suppliers with contracts with the general contractor) or amounts due or to become due to the contractor immediately above the liening party (for sub-subcontractors and lower tier suppliers). A sub-subcontractor or lower tier supplier can further protect themselves by sending the general contractor a Notice of Identification within thirty (30) days of starting work on the project. This alerts the general contractor (with whom they do not have a direct contract) that the party is working on the project and the estimated value of its work. If a Notice of Identification is sent, the mechanic’s lien will not be limited in value by the amount due or to become due to the contractor above them. The second required recording is a Statement of Account. It is similar to the Notice of Contract and provides an accounting, under oath, of the amount due at the time it is recorded. The Statement of Account must be recorded within one hundred and twenty (120) days from the last date work was performed on the project. The deadline is accelerated upon the recording of a Notice of Substantial Completion or Notice of Termination. Within ninety (90) days of recording the Statement of Account, a lawsuit must be filed against the property owner to enforce the mechanic’s lien. A copy of the complaint initiating the lawsuit is then recorded with the Registry of Deeds. In order to prevail on the mechanic’s lien, the contractor or supplier must establish in the lawsuit that they are due money for their work on the project and they have satisfied all of the filing requirements for its mechanic’s lien. The judgment on a mechanic’s lien lawsuit will include an order for the sale of the property where the project took place, with the proceeds paid to all encumbrances and liens recorded on the property. Mechanic’s liens will typically be resolved by payment, a lien bond, or settlement prior to enforcement of a court order for the sale of property. What are the benefits of a mechanic’s lien? A mechanic’s lien is not a quick solution to the problem of nonpayment, but gives additional security and leverage to a contractor or supplier to get paid for work on a private construction project. Practically, a mechanic’s lien makes another party (owner or general contractor) interested in getting your debt paid. By starting the mechanic’s lien process early and recording a Notice of Contract (or sending a Notice of Identification, if applicable) at the start of your work, you can maximize your ability to recover full payment for your work on a private construction project. The mechanic’s lien process is complex and running afoul of the statutory lien requirements is all to easy. For questions or assistance with Massachusetts mechanic’s liens, contact Jessica Murphy at (508) 791-8500 or another member of Mirick O’Connell’s experienced Construction Group.